One of the greatest masters of the Golden Age mystery was Alfred Walter Stewart, alias J. J. Connington. I fell in love with his work last year when I read the brilliant The Case with Nine Solutions. And I am delighted that Connington is back in print! This is due to the folks at Coachwhip Publications, a print-on-demand publishing house that has recently reprinted Murder in the Maze, The Tau Cross Mystery, and The Castleford Conundrum. 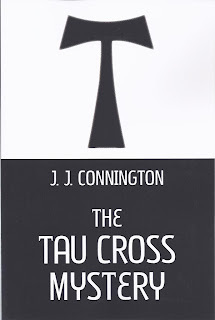 I’m very grateful to Chad Arment for sending me review copies of the last two books—and I decided to start with The Tau Cross Mystery, which coincidentally fits in with one of my themes for the 2012 Vintage Mystery Challenge! 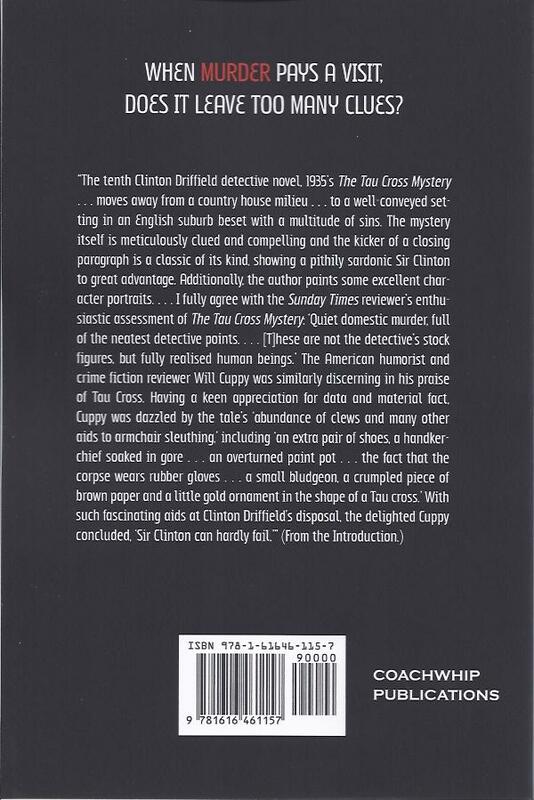 The Tau Cross Mystery is the tenth novel featuring Sir Clinton Driffield, Chief Constable. 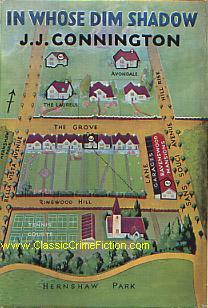 And this book takes place not in the country house, but in modern-day suburbia, a setting that is quite effectively portrayed. There’s been a murder: an unknown man has been shot in a supposedly-empty flat. Sir Clinton is given too much evidence, and yet none of it seems to lead anywhere: there’s an overturned paint pot, a bloody handkerchief, an altogether mysterious business involving an unnecessary pair of shoes… and the titular “tau cross”, a gold ornament shaped like a cross modelled on the Greek letter Tau. And that’s all you’re getting out of me in terms of plot details. (There is a map on the first page, though, if that's any consolation. I love seeing those!) This is a deliciously complex mystery that is also fairly clued—scrupulously so, in fact. Every single piece of the puzzle fits together in the end, in a lovely, logical pattern. Sir Clinton goes over his investigations thoroughly and tosses ideas back and forth with his friend, Squire Wendover. Please don’t let that name fool you—Wendover isn’t an empty-headed sidekick like Agatha Christie’s bland Captain Hastings. He’s intelligent, shrewd, and observant—he notices small details that escape others, and he often manages to partially put together the pieces of the puzzle. Some of the best sections in the book are the sarcasm-laced conversations between Wendover and Sir Clinton, as they poke holes in their theories. One of the things that makes the somewhat easier-to-solve puzzle so forgivable is the high quality of the storytelling. These characters feel so real. 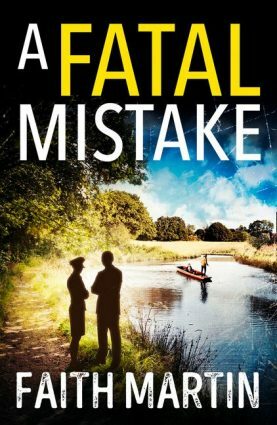 There’s a young constable who takes advantage of the murder case to show his superiors that he has those “special qualifications” needed for promotion. Fairly late in the book, we’re given another detailed portrait of an aging clerk, Mr. Mitford, who has fallen in love with the Japan of fairy tales and story books, and wants to visit the place before it is driven extinct by modernisation. Unfortunately, it seems impossible for him to ever achieve this dream. And then there’s a Christian “reverend” (but not strictly speaking a reverend at all) who is remarkably self-centered and manipulative, not to mention a streak of hypocrisy running through his character. I could run through the whole character list, but then I’d give away half of the plot in the meantime. This reprint specifically is a wonderful edition. While some might be frightened by the “print on demand” label, this book is lovingly prepared. The editing was of a high standard. The font was attractive and very easy and comfortable to read. The entire book has a very classy feel to it, including the front cover. It looks like it will last, as opposed to many new books that will fall apart after one reading. And I’d like to think that Connington’s books will last, because they have already stood the test of time remarkably well. I can only pray that we will see more Connington reprints in the near future—his books deserve it. 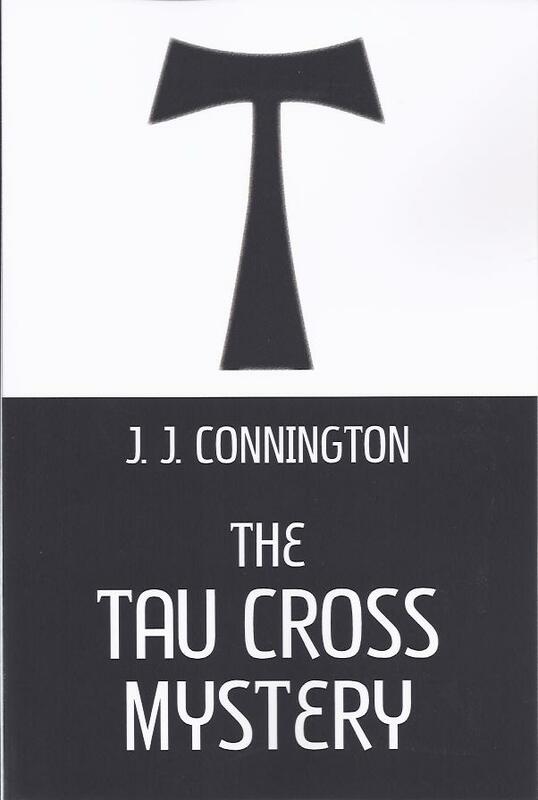 Overall, I enjoyed The Tau Cross Mystery, which prior to this reprint was hard to find— the lowest price I can find (under the title The Tau Cross Mystery-- there are some cheaper editions of the alternate title, In Whose Dim Shadow) was over $500! Is it worth the while? I think so. Although the murderer is fairly easy to spot, there is so much else of interest in this book. 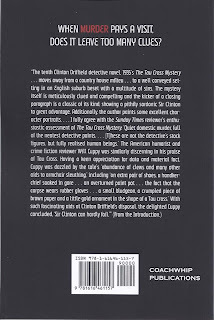 The characters are great, the suburban setting is wonderful, and it’s a pleasure to watch a master detective of Sir Clinton’s calibre at work. In other words, it’s a pure delight, and I look forward to reading The Castleford Conundrum! Sounds great Patrick - are these POD editions available to readers in the UK? You can buy copies of all three reprints on Amazon.co.uk. Excellent news - thanks Patrick. I can finally retire my old Italian translations! Thanks for the informative review. This is the next book for me to read after I finish Death Comes to Pemberley by P.D. James. I am looking forward to it.